Welcome to the Sing2Benefit Web site. As you read through the site, we hope that you are moved in your heart to contribute to the mission of giving. 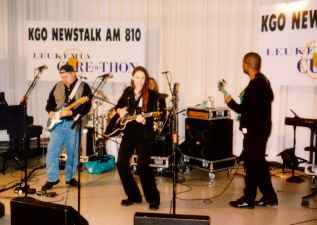 Whether you're an artist or band, this web site was created with the goal of bringing together performers for charitable causes, events or benefits. Throughout history, music has helped heal the human race in various ways. The medium of music can also help to contribute financially to different causes, research, education, and cures. Donations given from live performances, album sales, and benefit concerts are some of the ways artists and bands have helped through Sing2Benefit. Come and be part of something that you know will make a difference in the life of somebody else. Use your God given talents to help another. The pure joy of giving back what you have been given is an undeniable experience. 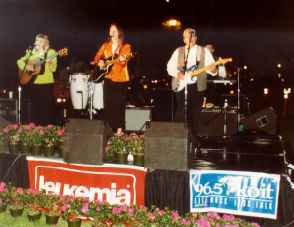 EvenNow performing for "Leukemia Light the Night" in San Francisco at The Justin Herman Plaza. "Together we will change ourselves and change this world"